But the lawsuit says LaNard Graham says he wasn’t smoking pot that day, and that two drug tests prove it. Another student later admitted owning the marijuana, but Country Day Upper School Director Tim Beardon told the Grahams that LaNard would be expelled. The Grahams’ lawyer, Joshua Moore, says this incident fits a larger pattern of Country Day punishing African American students more harshly than white students for similar infractions. “DCDS and its employees treated LaNard differently and far more harshly than other students similarly situated, only because he is African American. DCDS did not afford LaNard Graham Jr. with the due process he ought to have been entitled to, both under the law and DCDS’ own policies,” Moore wrote in a synopsis of the case. The lawsuit further alleges that after LaNard left the school, several Country Day employees harassed LaNard’s younger brothers, ultimately forcing their parents to withdraw them from the school as well. “Our extensive review of the mountain of evidence reveals that LaNard Graham was treated differently from other students because he is African American. This is clear from the many different DCDS incidents brought to our attention, as well from statements made during interviews of witnesses that we have conducted,” says Moore. He says a former Country Day Board member and school employee are willing to testify to that in court. 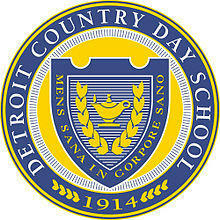 Detroit Country Day School officials could not immediately be reached for comment Tuesday. Moore says LaNard was “seriously harmed” by the incident, causing him to lose both educational and college sports recruiting opportunities. The lawsuit seeks damages and changes to Country Day school policies.